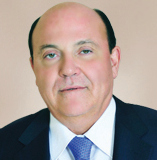 Christodoulos G. Vassiliades is the founder and Managing Director of Christodoulos G. Vassiliades & Co LLC. Mr. Vassiliades established the Firm in 1984 in Nicosia, after completing his training as a Pupil Advocate. With over 30 years’ experience in the industry and many international clients, Mr. Vassiliades is acknowledged as one of the leading advocates in Cyprus and has extensive experience in advising clients on both their legal and business matters, relating to domestic and international law. Mr. Vassiliades is among advocates recommended for key practice areas by international legal organisations. Legal 500 specifically recommends Mr. Vassiliades for Corporate and M&A. Mr. Vassiliades, who is appointed Deputy Registrar of the International Merchant Marine Registry of Belize (IMMARBE) for Cyprus and Greece, also acts as Honorary Consul of Belize in Cyprus since 1999. Moreover, Mr. Vassiliades is an active member of various local and international organisations, namely the Cyprus Bar Association, the Nicosia Bar Association, the International Bar Association, the Cyprus Chamber of Commerce and Industry, , International Fiscal Association, the International Trademark Association, the International Tax Planning Association and the Society of Trust and Estate Practitioners. He earned an LLB degree at the University of Athens (1975-1980). He was called to the Cyprus Bar Association in 1984. He speaks Greek and English.